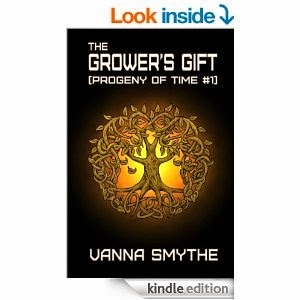 The Grower's Gift is FREE 6/15-6/18! Get your copy today. The rich and powerful of North America have pulled back into the six remaining megacities, erasing all trace of a central government and leaving millions displaced by the environmental crisis to fend for themselves in the dying world. Sixteen-year-old Maya has a gift, a power she thinks can heal the earth and make it habitable again. A gift that she must learn to harness. The school for the gifted in Neo York is the only place where she can learn to control her power and reach her potential. Yet the school is not what it seems. Ran by the ruthless head of the city of Neo York, the school's only objective is to extract the powers of the gifted and then discard them. Only Ty, heir to the city, can keep Maya from being destroyed there. But Ty has a secret, and his loyalty to his family has never wavered. Will his growing love for Maya be strong enough to save them both?